After reviewing a much-scrutinized study on cut-through traffic around Rowena Avenue, the Los Angeles Department of Transportation is standing by a six-year-old road diet that department officials say has made the Silver Lake street safer. In a report set to be reviewed by the City Council’s transportation committee later this year, the department recommends keeping the road’s reconfigured lanes in place, while adding a host of additional safety measures on Rowena and surrounding streets. Department staff point out that crashes along Rowena have dropped since officials put the busy thoroughfare on a “road diet” in 2013, reducing the number of lanes for cars and adding bike lanes and a center turn lane. According to the report, collisions on nearby Waverly Drive and Angus Street haven’t increased over the same time period—though many Silver Lake residents have complained of additional traffic since the changes went into effect. Street safety advocate Scott Gamzon tells Curbed that he’s “more than happy” about the recommendations included in the report. He says he co-founded the organization Keep Rowena Safe out of concern that city officials would reverse the road diet to appease commuters irritated by the removal of auto lanes. “We knew we had to protect it, by making the conversation about safety, not traffic.” says Gamzon. 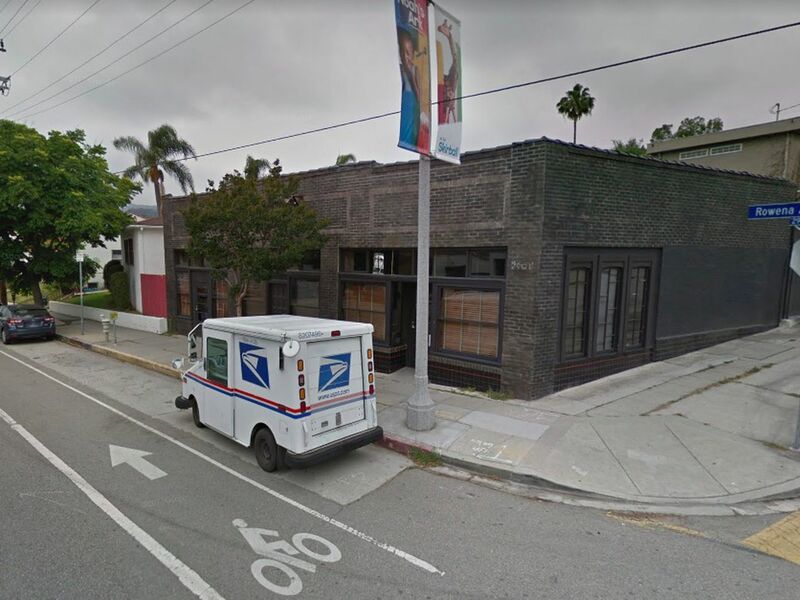 The department’s report comes in response to an independent study on traffic in the neighborhood commissioned by City Councilmember David Ryu at the request of members of the Silver Lake Neighborhood Council. Undertaken by planning consultant Kimley-Horn and released last year, the study recommended four options for alleviating congestion along Rowena Avenue. But to the alarm of Gamzon and other street safety advocates, three of those options involved dismantling the streetscape changes along Rowena, restoring lanes of traffic for cars and removing bike lanes. In a statement submitted to the City Council, members of the neighboring Los Feliz Neighborhood Council expressed concern that the study placed “anecdotal concerns” about cut-through traffic above safety improvements resulting from the road diet. The transportation department echoes these concerns in its new report, which maintains that restoring traffic lanes would “offset the safety benefits” of Rowena Avenue’s current configuration. Instead, the department recommends pursuing the first option laid out in the Kimley-Horn study, which would maintain the road diet while implementing new safety measures, including new crosswalks and traffic signals that give pedestrians a head start when crossing the street. According to the report, traffic collisions along Rowena fell from an average of more than 12 per year prior to the road diet to an average of less than eight per year since it was installed. The changes also appear to have made bicycling a more attractive option in the area. In peak-hour traffic studies conducted prior to the road diet, transportation staffers never observed more than 14 cyclists. Since 2013, that’s risen to an average of 71 cyclists during peak hours. The report notes that the number of drivers traveling along the street, used frequently by students at Ivanhoe Elementary School, has “remained consistent” since the lane reconfiguration, while vehicle speeds have slowed slightly. Collisions due to speeding have dropped 65 percent, according to the report. Gamzon says he hopes these findings will help shift the conversation about similar street safety projects in other parts of the city. “I think what we need to realize is that our roads don’t have to kill us,” he says.